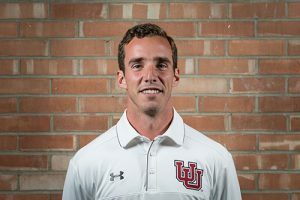 Will Manny joins Utes lacrosse staff as an Assistant Coach after completing 2 years at Wagner College running the offense and receiving his MBA in Management. He currently plays for the New York Lizards and is entering his 6th year in Major League Lacrosse. Will was traded in 2017 midway through the season after 4 and a half seasons with the Boston Cannons where he was drafted in 2013. Captaining the Cannons the past two years, he was named 2015 and 2016 Cannons Offensive Player of the Year and 2016 Most Valuable Player and has been an MLL All-Star the past 3 seasons. Manny has been in the top 10 in scoring the past 3 summers. After graduating from UMass in 2013, Will served as an Assistant Manager at Bank of America in Boston for a year and a half. Recognizing lacrosse is his passion he served as a Graduate Assistant at Wagner for the 2015 and 2016 seasons. Both seasons at Wagner were record setting with most wins in school history consecutively. On top of coaching Will is Co-Founder of Attack 101 Lacrosse with Marcus, spreading the game and teaching young players the right way to develop both on and off the field. Will is originally from Long Island, New York and attended St. Anthony’s High School. He continued to play his collegiate lacrosse at the University of Massachusetts graduating in 2013. Manny finished his career as UMass’ 5th all time leading scorer with 201 points (107 goals, 94 assists) in just 55 games. Will was also name 2012 USILA First Team All-America, Colonial Athletic Association (CAA) Player of the Year, an honor which he earned two years after bring named the 2010 CAA Rookie of the Year. Will was named a Tewaaraton Finalist in 2012 leading UMass to its only undefeated season in program history. A four-time All-CAA honoree, he led UMass in assists all four seasons from his attack position, while pacing the Minutemen in points from 2010-2012 and goals in 2010 and 2012.